Website localization can be very challenging in general, and localization into Russian presents its own special set of challenges, starting with the Cyrillic alphabet and ending with different preferences and expectations of Russian speakers. These challenges can be broken into 2 categories: design and content. …and readiness to accept that 1:1 design and copy transfer into Russian will not work. According to Wikipedia, the longest Russian word is merely 35 letters, as opposed to German’s 80-word Donaudampfschifffahrtselektrizitätenhauptbetriebswer monstrosity. Nevertheless, be prepared to see menu items, pop-up window copy, calls to action, copy in visual assets, especially diagrams, and footer links explode in front of your very eyes… unless you plan for text expansion, or, for assets that do not accommodate text expansion, discuss strategies to work within a set character count in advance. I once had a client who suggested that instead of reworking a brochure to hit the character count, the copy should be handed over to the designer as is. The copy won’t fit anyway. Make sure the Latin font you are using on your website will have a corresponding Cyrillic font. Otherwise, any text in English (or any other text with Latin characters) will stick out like a sore thumb. You’ll want to avoid confusion and make sure that the Russian-speaking visitors will not be befuddled by Month/Date/Year form. If you have set up “variable + s” for all values over 1… know that Russian has three different forms of plural endings. If you do not have a lot of numbers on your website, you might decide to keep it simple and have everything done manually. e-Commerce websites or app localizers might be better off implementing rules for plurals in Russian. Vitalii Kuznetsov explains how to do so by using Stringsdict in iOS in this Medium article. Don’t mix them up, especially by going from informal to formal. It’s like unfriending someone on Facebook, except on a website. Nothing screams “This website is translated from English” more than Capitalization of Every Word in a Headline or a Call to Action That is Also Capitalized Like This. Given that Russian users often are concerned about landing on a “not official” website, giving an impression of a “Dear Sir/ Madam” email with randomly capitalized nouns on a website level might not be a good idea. It is possible that you’ll decide that an infographic, a product demo, or even a short interview with your CEO are not a must-have for your localized website. And that’s fine. But if you do feel that a client testimonial, an explainer video, or a diagram showing some Very Convincing Data needs to be preserved on your localized website — do not forget to have them localized. Otherwise, instead of supporting your point, they will be creating unnecessary friction and reminding that this website is “just” a translation. More content audit: do all of the references in your website copy make sense to the Russian readers? Are all elements of your website copy relevant to the Russian customers? Paris equals fashion all over the world. The Game of Thrones memes and quotes have infiltrated the Russian internet (possibly because the Russians really get that the winter is coming). But do not assume that references to the coastal beauty of North Bend, Oregon, will strike a chord. Same goes for testimonials and other forms of social proof: they are much more likely to work if a testimonial is provided by “people like us”, such as Auntie Masha in Moscow region (not Aunt Sue in North Bend). Research: do you know what Russian buyers care about? The web is dark and full of terrors, and even more so if you are a Russian internet user. This is why many native Russian websites have more trust-building elements than one might expect. If you are only entering the Russian market, you might need to move your big red “Buy now!” button below the fold and let your localized website visitors get to know you better, as well as prove that they can trust you – before they are ready to convert. As you can see, localization into Russian can be a long and arduous journey. But I believe that with proper planning and careful execution, you’ll be able to overcome most of these challenges and present your company or product in the best possible light in the eyes of your Russian target audience. And if you discover that it is hard to immediately get all of the small details right and adapt your big ideas for the Russian market — two Russian proverbs sum it all up perfectly: “The first pancake always comes out in a lump” and “Patience and labor will overcome everything”. 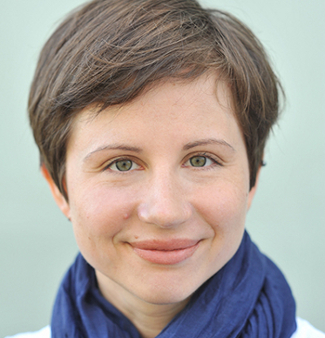 Ekaterina Howard started translating from English and German into Russian in 2006, but her interest in creating impactful marketing copy led her to focus on copy adaptation and localization. You can connect with her on LinkedIn and find out more on her website, yourcopyinrussian.com.